LightUp is a plugin for SketchUp that permits to instantly illuminate your 3D models and watch everything rendered perfectly in real time. A simple step and the quality of your 3D model rises with LightUp. Another simple step and your visualization becomes interactive with edddison. But test your file, the frame rate depends on the model size and the power of your computer. 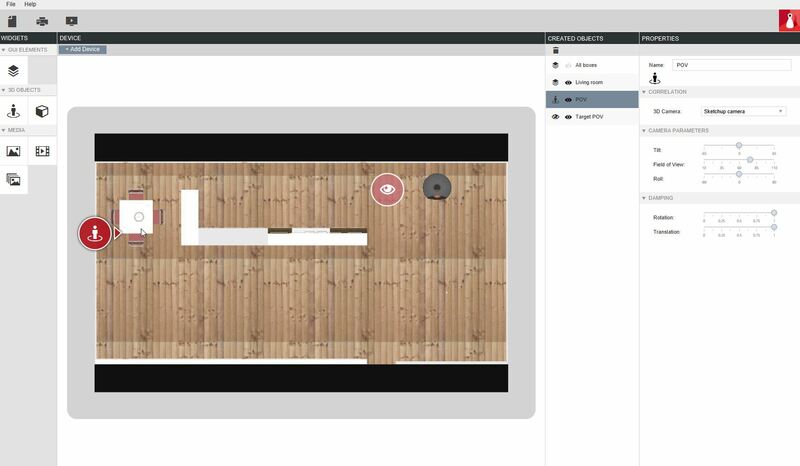 edddison and LightUp are two plugins for SketchUp that can be combined easily to offer an interactive walkthrough in a 3D model. The model will be illuminated and rendered in real time. The combination of real time rendering with LightUp and mixed-reality interaction through the edddison plugin provides great quality with a few minutes of work. 1: Let´s open our 3d model file in SketchUp. edddison and LightUp appear in the toolbar once they are installed. To do this, visit the Extension Warehouse of SketchUp. 2: Connect to edddison from SketchUp and let´s get interactive! Now we can walk through the main room in an easy way either with your pc, your tablet or a projection table and not get lost. We will know in real time where we are. We have two ways to see the space: in one case we go all around the space and we decide what to look at; in the second case we will always look at the center of the space: we will always feel inside. 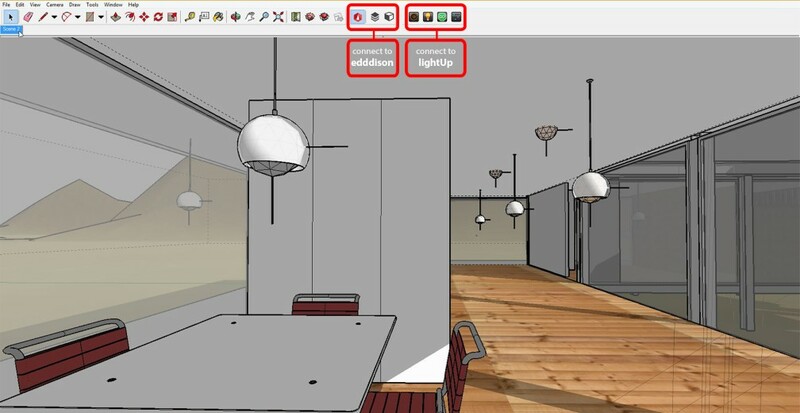 3: Connect to LightUp from SketchUp and let´s get illuminated! For detailed Information on how to setup LightUp please visit their homepage or look in the help-section of the plugin. After introducing some lights in just some minutes, our interactive scene has got a better quality and looks more realistic. Let´s take some time to adjust the general parametres of the scene, which works in real time as well. That means: you change the parametres you need, you see them inmediately, you walk through the scene with the new changes. In addition, we can change materials in real time with LightUp inside SketchUp and walk through an almost different scene! Just seconds to change the parameters and interact. Interactive solutions are required more and more by clients who want to present their product in a more attractive way. 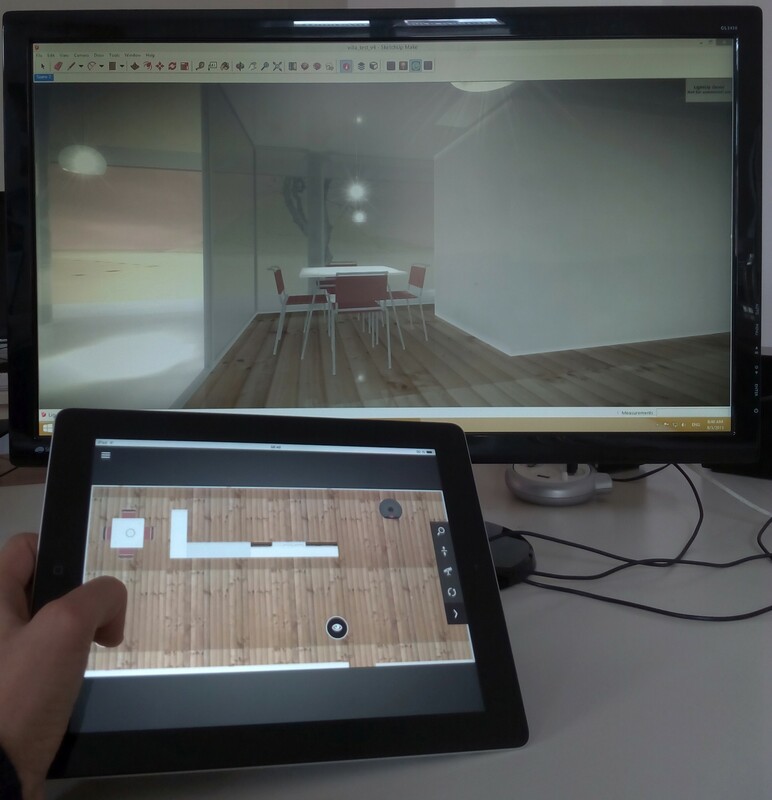 Working with a single easy-to-use software as SketchUp, directly illuminating models and interacting with them in a smooth way can be a great way to save a lot of time (not exporting or importing files) and have better results with a minimum effort. Interactivity for all users and not only for experts. If you want high quality rendering in real time you can use Unity3D as a game engine for your buildings.